It’s March and that means State High School Basketball tournament in Iowa. It’s our Big Dance. It’s a right of passage. Just this past week The Des Moines Register published a photo from waaaaay back at the 1983 girls basketball tournament. There I was in the back, arms raised in momentary triumph. About a quarter century later it was our daughter, Taylor, who made it onto the pages of the paper when they published a photo of her and friend, Andrew Lopez, cheering on the Pella Dutch. 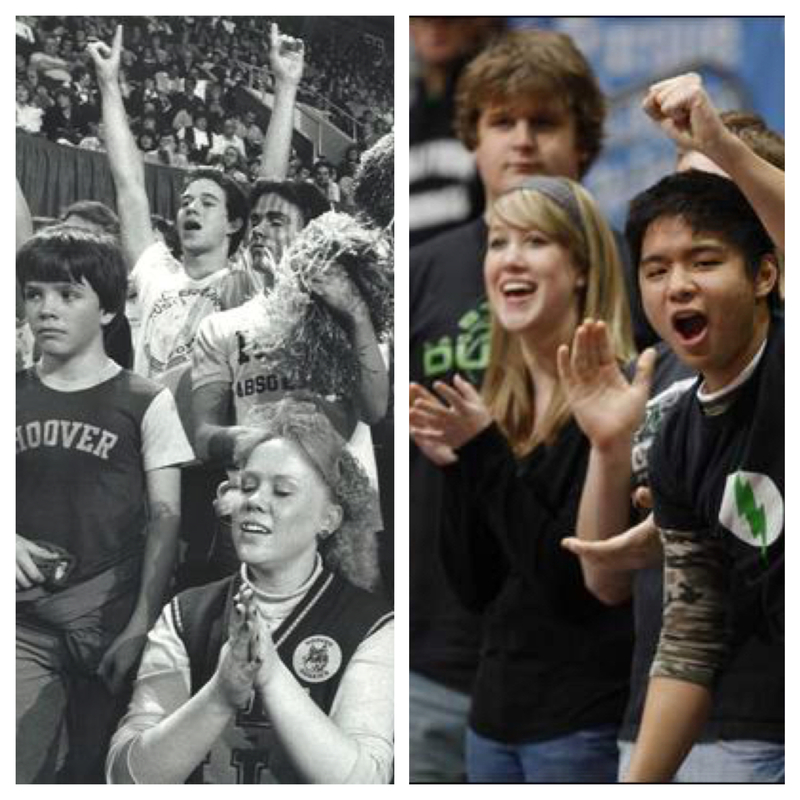 So, for Throwback Thursday, here’s the Big Dance addition thanks to The Des Moines Register.